The new look is heavily-influenced by the material design principle. Apart from the general organization, all options have their own area with whitespace aplenty. Headings along the way group similar options together. 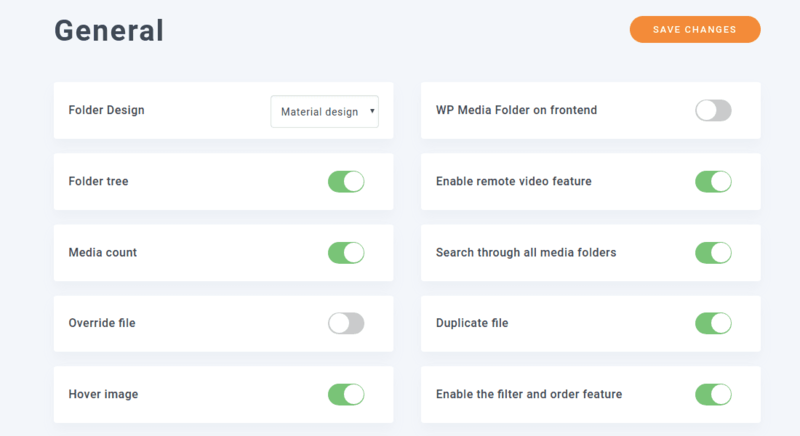 WP Media Folder’s separation of choices makes it easier to find what you are looking for. Furthermore, the option labels hide snippets of information about the associated settings. Hover over them for quick tooltip help about what you can achieve! Over the years, WP Media Folder has amassed too many options to handle. Unless it is your first time setting up the plugin, odds are that you are only looking for one or two options to modify. You would be glad to know that the new design was created with searches in mind. 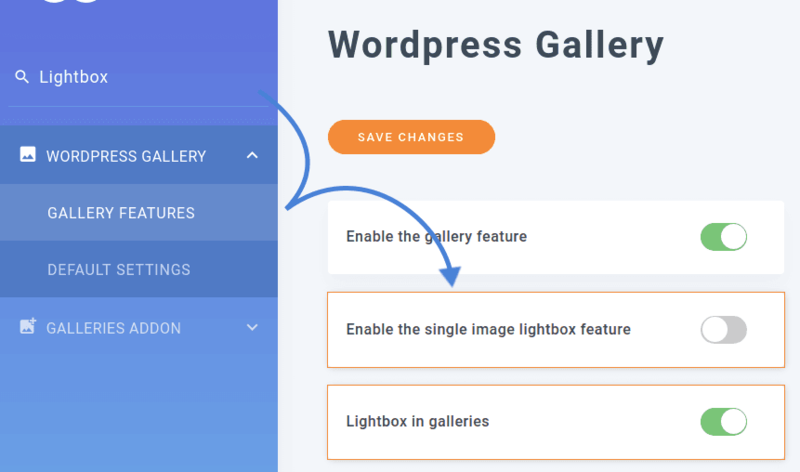 Consider receiving a bug report about your website; perhaps lightboxes are not working the way they are supposed to, or maybe the gallery design is not to your readers’ liking. In the past, getting all related options meant trawling through all the settings. Now, there is a new way. 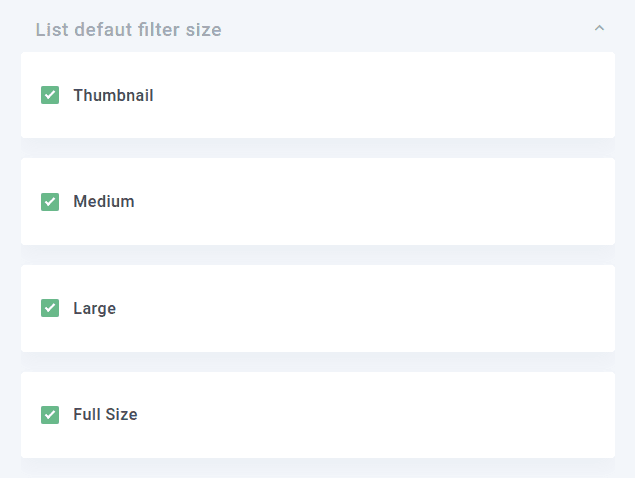 A core introduction in WP Media Folder’s new design is the ability to filter options based on what you need. In other words, instead of having you look for options, the plugin brings them to you. The search bar is at the top of the sidebar, and updates search results automatically. 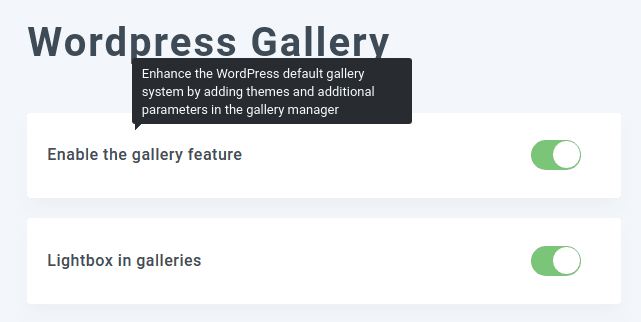 The filtering works by isolating the menus and submenus that contain the search term. For example, if you are looking for lightbox-related options, only those menus that mention lightboxes are shown. At times, when you visit the search results, you will find that not all options are related to the original query. Those that are actually related will stand out though, because WP Media Folder highlights related options for you. Simultaneously, it retains options that do not mention the terms explicitly, but which may still be related since they are in the same section. Managing media is the necessary preamble to using it. With this in mind, we built the new design to make the process even swifter. So while the design revolves around usability, you can spend your time optimizing the media for its real purpose - communication.